Welcome back to 5 Question Friday. I apologize for the lack of updates. I’ve had a lot going on personally and some things I really care about such as this site have been neglected, but that’s changing. For those of you just joining us, 5 Question Friday is a column where I talk to someone in Tacoma and ask them 5 Questions. We’ve had everyone from a homeless street poet to the mayor of the city join us at one time or another. This week, novelist Joshua Swainston joins us to tell us about his debut novel, Tacoma Pill Junkies. Joshua has been building his audience through a lot of hard work and self-promotion. A local bookseller recently told me that he was everything you want in a guest when it came to promoting his book. 1. What is Tacoma Pill Junkies? 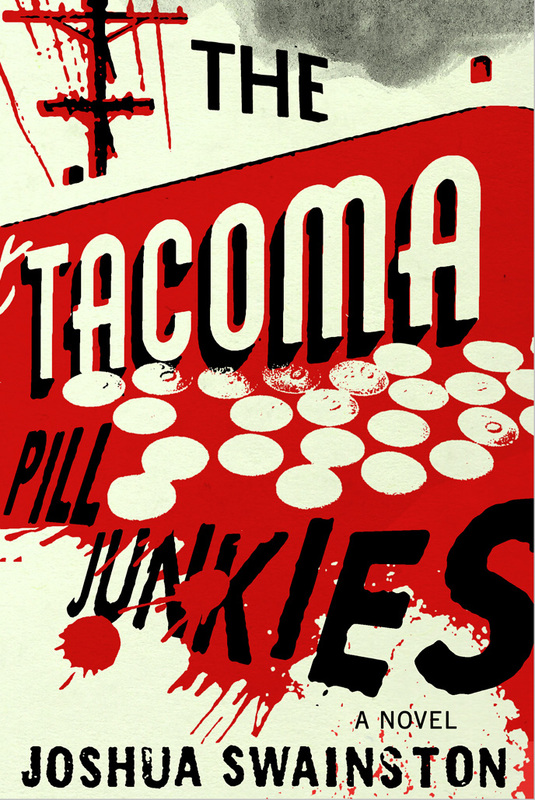 The Tacoma Pill Junkies is a novel about drug addicts and the working class of Tacoma. It is a noir fiction true to the genre. The story is told from the perspective of minor criminals, in this case the pill dealers and takers. There are far more sinister activities underfoot. The story starts with a mugging and continues with stalking, theft, bribery, assault and murder. There are very few characters in the book without some sense of criminality. The book also struggles with the plight of the working class in the changing reality of modern times. Since the Bush 2 era we have heard constantly of the dwindling middle class and building opposition to unionization (Though luckily not in Washington State. A sincere, thank you Sen. Murray.) The story builds from workers struggling in jobs that require little or no education (security guards, janitors, and shop attendants) and how they attempt to better their own lives. Though, a few of the methods might make Jimmy Hoffa uneasy. 2. Where did you get the inspiration for the novel? Can I plead the fifth? Let me just say, I have not always been the most upstanding member of the community. That time is over now. Pill Junkies started as a way for me to come to terms with the illicit aspects of those lost years. As I tooled with the idea of the story becoming more than just a few pages regarding my personal drugged out haze, I wanted to say more. I added a few antidotes about my deep draft sailing experiences. Then I added some ideas I had about unionization, I think this is when the State of Michigan De-unionized. I had also just read a lot about the Brown Power Movement as well as my own union, the Inland Boatman’s Union. So I was really charged about workers’ rights. 3. Why base it in Tacoma? 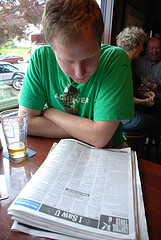 On the onset of the book the setting was split between Olympia, Seattle, Gig Harbor and Tacoma. The scope of the story just got too big. I wanted it tight. So, as T-town was the central local for much of the events that inspired the book and I live here now, I figured I would use it. Tacoma also has the correct history for this story to function. On the drug side, Tacoma has always had its fair share of problems. When it has not had the problems, it’s had the stigma of the problems. Either way, we are not viewed by outsiders as the most pleasant place in the world. I find this odd because Tacoma is an amazing place. The people who live here are fiercely protective of it. On the workers side, Tacoma is historically overwhelmingly worker centric. You have the train unions, the waterfront unions, the brewery unions and the creation of Labor Ready. As a city we are people who get things done and work for a better tomorrow. 4. What has the response been so far to your novel? I think I am doing well. I don’t have much of a base to work from since this is my first book. I have gotten a lot of questions regarding what the book is about. Most of the time I answer: “Drugs.” Some people I have talked to about the book are shocked that it has so much illegal activity in it. Some people totally get it, but others scratch there head over the entire ordeal. I think the cover gives readers pause. The cover was created by friends of mine at Sleepy Kitty Art. It was designed to be brash and unsettling. The vision for the cover was to tell the reader they might want to proceed cautiously. Maybe it is my fault. When I finished writing the book I believed I had written a piece of Lit Fiction. I lived under the delusion that somehow I was loftier then genre work. In the last three months I have found out two things. 1) There really is no lit fiction any more. Everything is classified down so far that the general artsy Lit Fiction is totally gone. Jane Austin, in today’s world would be classified as Chick Lit. Joseph Conrad, maybe Adventure Fiction. Don Delillo writes Postmodern. Will Self writes Satire. Charles Bukowski gets pigeon holed as Dirty Realism, whatever that means. 2) I like writing Crime Fiction. I had not realized the novel was a Crime Fiction until after I had put it out. In the past, I had written a few shorts that were noir or hardboiled, but didn’t understand those terms in this specific context. When it all clicked upstairs I was able to stream pages of crime. Embracing the genre has giving me power. Now that I have focused on a specific audience the questions I receive about Pill Junkies are more pointed. 5. What’s your next project? I have started to assemble a tale involving a woman named Yvonne. She is a cross between Nico from the Velvet Underground and Bonnie Parker. I’ll be reading a short piece from her story as well as a sample of Pill Junkies at 3 pm, May 4th at Orca Books in Olympia WA. I will be joined at reading by Alec Clayton and Titus Burley. You can purchase Tacoma Pill Junkies at King’s Books in Tacoma, Orca Books and Last Word Books in Olympia, Elliot Bay Books in Seattle, and of course on Amazon.com. For more information on Tacoma Pill Junkies, you can go to the official website: http://tacomapilljunkies.com. I’d like to thank Joshua for taking the time to join us.